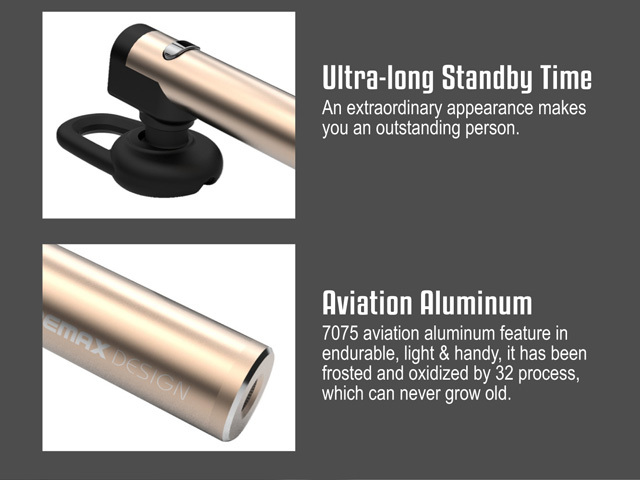 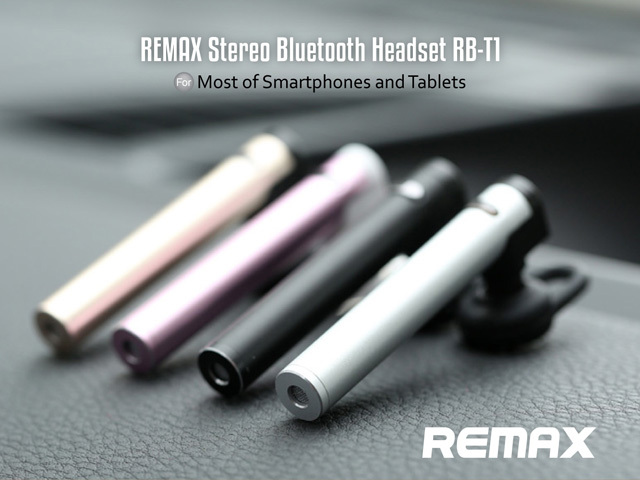 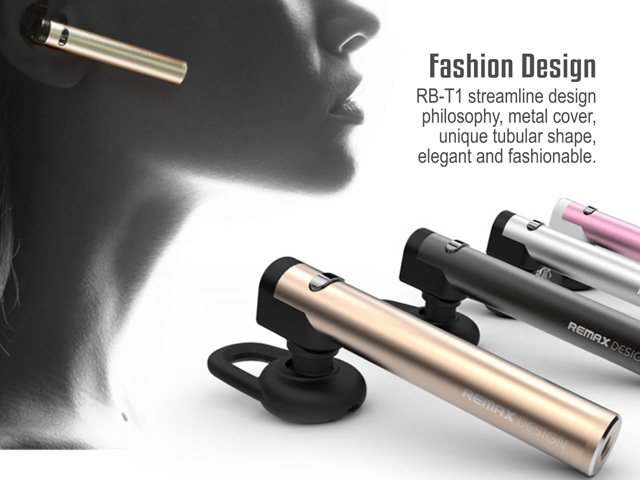 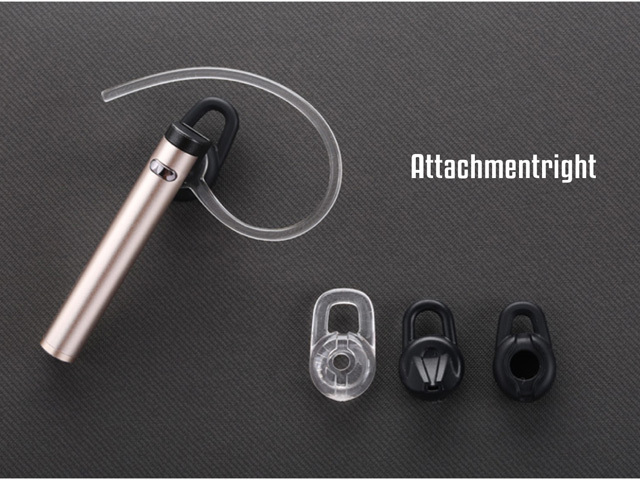 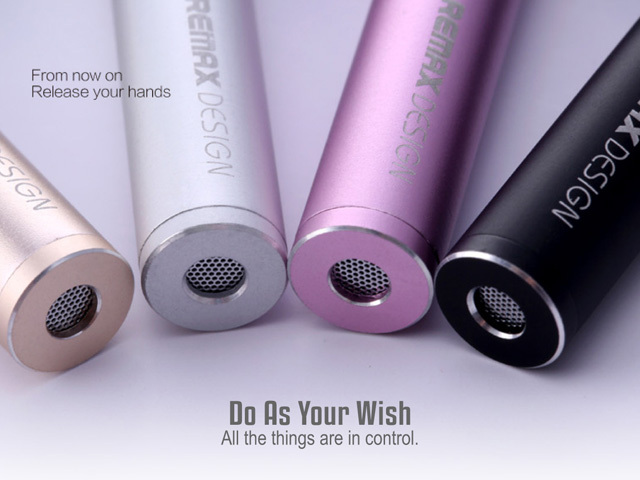 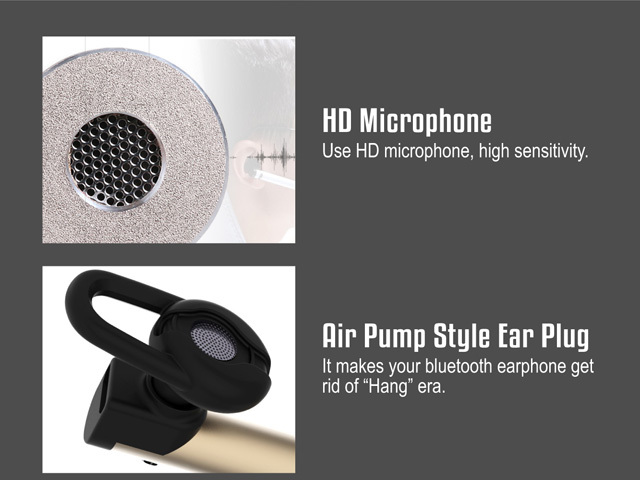 REMAX Stereo Bluetooth Headset RB-T1 streamline design philosophy, metal cover, unique tubular shape, elegant and fashionable. 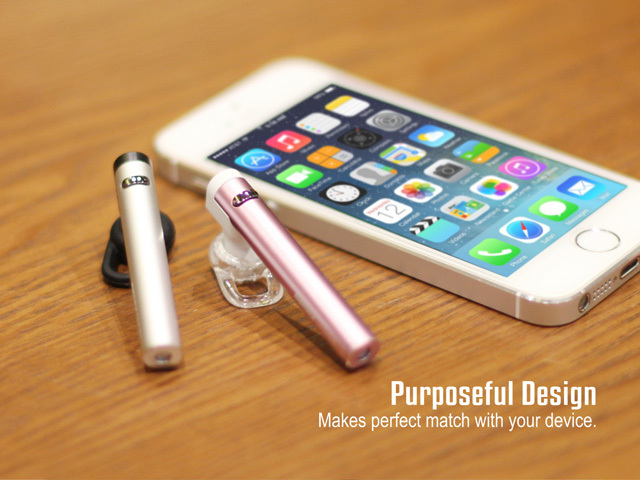 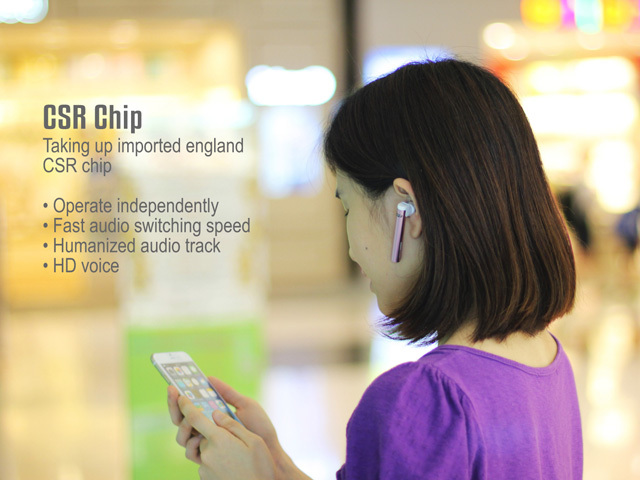 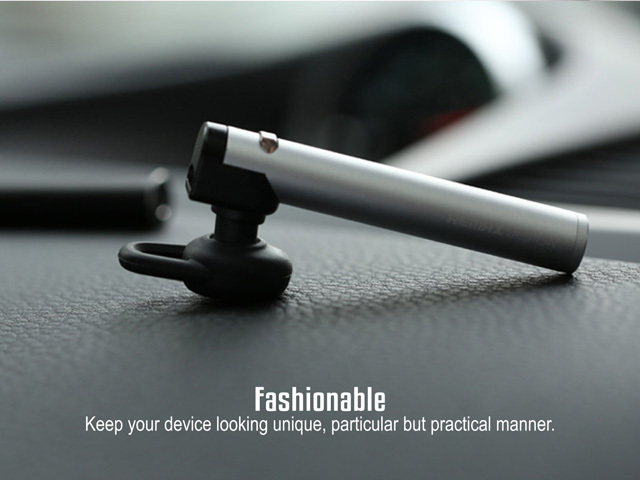 It can connect 2 mobile phones at the same time, with its England high quality CSR8 Bluetooth 4.0. 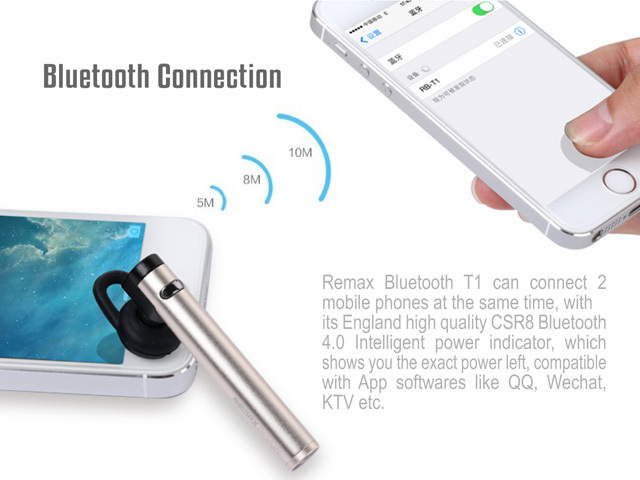 Intelligent power indicator, which shows you the exact power left, compatible with App softwares like QQ, Wechat, KTV etc.